00:00 You’re listening to the live happier, longer podcast, episode six. 00:15 Welcome to the live happier, longer podcast. We’re your hosts, Molly Watts and Anglea Mc Dade. We are here to help you build the habits of a happier, longer life starting now. 00:26 Hey Hey, So Angela, you and I have been busy travelers this last week. Yep. Different places all in the US, but different, different places around the US. Yeah. I think you just said you were in five different places. Five or four. No, four, but between the three of us– between the two of us we’ve been in five different places. Six, if you include Tigard . Well, yeah, I suppose so, yeah. You’ve been to…. So last weekend I was in Colorado Springs and I was watching my second daughter race at USA collegiate track nationals where she won a gold medal. That was very exciting. Go Hannah! It was very exciting. She won. She , she actually won two gold medals and a bronze and then a fifth place model and our team won overall, which I thought it was a fabulous weekend. So lots of gratitude for the amazing opportunities that she’s had with her team. 01:27 Yeah, so that was last weekend and then during the week I moved my youngest daughter into her dorm in Eugene. Yes. And so while I was doing that, you were…Oh, I was off in Phoenix for my husband’s conference, but I got to meet with one of our earlier podcasts, guests Lisa King. So that was super fun. Yep. And then I am just back from a weekend in Bend, Oregon, and then of course we, we live here in Tigard and you’re right here outside of the Portland Metro. Anyways, that’s j just a brief way of saying we’ve been busy, but we’re super excited today because we are going to be, it’s just us and we’re going to be talking about something that is very important to all of us here at five for life and that is Alzheimer’s disease and it falls right in with,we just celebrated World Alzheimer’s Day on Friday, September 21st. 02:26 We’re recording this just two days later. And so without further ado, let’s talk a little bit about Alzheimer’s disease. All right. 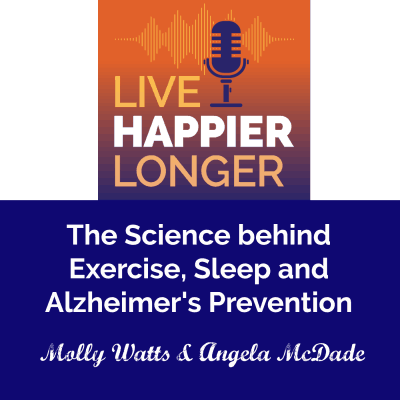 So Alzheimer’s disease is something that is at the forefront of things that we talk about at Five for Life and, and that’s really because it is a disease of aging. It’s something that most people associate with, with getting old, right? Like it’s simply something that happens to you and quite frankly, it actually is something that just, you know, there’s not a lot the medical community has looked at in terms of prevention for Alzheimer’s. Yeah. Or even cure. There’s no, there’s no known cure. Right. And so, and no known real treatment for it. And when you, once you have the disease in terms of disease, you know, You just Kinda have to deal with it. And it’s all palliative care to a certain extent. 03:20 And that’s, it’s, it’s, it’s scary. I think people are, I think we don’t talk about it. I know that we’re going to be touching on a TED talk that you and I both listened to and the author of Still Alice, her name is Lisa Genova. She gave that talk and one of the things she talks about in that talk is that, you know, you can’t cure something that you don’t want to talk about. Right. Yeah she compared it to years ago when people had cancer people, you know, it wasn’t something that it was spoken or people would see it in a low voice is oh, you have cancer and you know, and, but in recent years people have embraced it and embraced people who have it and supported people. That really is a relatively new thing. And she, her point was that we have to do this with Alzheimer’s we have to really well and attack it head on. 04:16 Yes, and because of that, because society, it’s because cancer, she, she actually went as far as to say that because people are more open and talking about cancer, it’s led to people surviving cancer. Right. There’s more cures for cancer. There’s, you know, there’s been an increase in treatment. 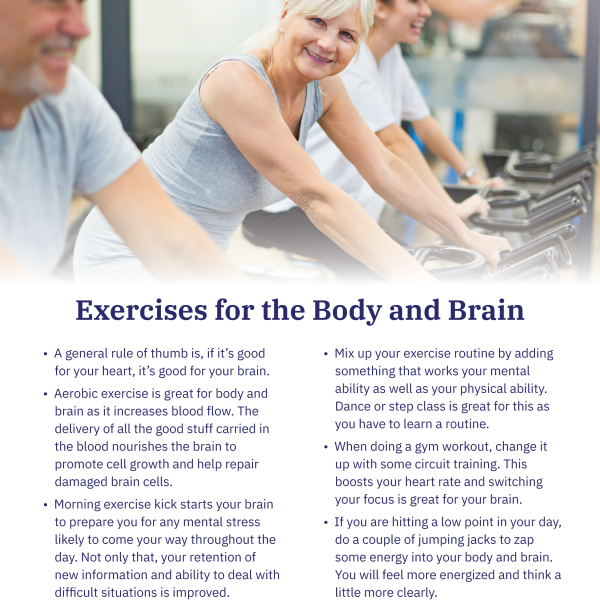 I know that something that we talked about back in June when it was Alzheimer’s prevention month here at, I mean not here at Five for Life. But something that we talked about was the fact that deaths from Alzheimer’s have actually increased by 123 percent between the year 2000 and 2015, and that’s really in contrast to all the other heart disease and cancer and even diabetes and other, most disease states that people face as they get older. We’re making strides in. We’re making treatments. There’s more success stories and the mortality rate is going down. Whereas with Alzheimer’s it’s going up remarkably. 05:12 Yeah, and that’s only going to get worse because of the fact that we have a, an extreme. We’ve talked about it several times here an aging population, a big aging population and the population that is going to keep growing, that aging population is going to keep growing. So in her talk, what was really fascinating about Lisa Genova’s talk was that we also, we must say that she actually has a neuroscientist. Yes, yes. She, she wrote the Book Still Alice and she, she’s a Harvard professor and, but she, she writes, she’s written a few novels and it’s all about different. It kinda wraps up these different diseases than neurological diseases within the story. So she, she actually is a neuroscientist. Yeah. She’s not just a novelist. She’s actually , She’s not just making stuff up, you know, there’s, there’s actual science behind what she’s, what she’s talking about telling the story of. And Still Alice. 06:11 I mean I saw the movie too. It’s that theme of that movie is your whole identity is wrapped up in a very cerebral, mind using occupation to develop early onset Alzheimer’s was just, you know, it was, that was a tough movie. Anyway, what was so incredible about her conversation and about her ted talk was that she really sees two things that are preventative, that can actually prevent Alzheimer’s. And I mean, it’s not, you know, that, that you can take actions now that will prevent you from getting Alzheimer’s. And how that happens is pretty interesting. Much like heart disease, you know, you go in, you get tested, you get your blood drawn, you get your blood pressure checked, you know, they do all that and they can determine whether or not you know, you’re susceptible to it. Right. And so you can take actions, you can change your diet, you can increase your exercise, you can do other things. 07:13 Similarly, there are at least two things that you can do. Two Significant things, two significant things, yes, there’s other things, but two things that can actually help prevent the actual buildup of Alzheimer’s disease. So let’s talk a little bit about, because I thought it was fascinating. I know you did to , the actual science of it. Yeah. So. So basically people know that for heart disease it’s because there’s the blockages and the hardening of the arteries. Plaque. Yeah. So it’s, it’s the plaque that builds up in your arteries that causes these, these blockages. And the same thing happens in your brain. It’s these proteins that build up in your brain and it’s essentially causing blockages, which means that you have these parts of your brain that’s simply dying off. So this builds up and then that you start to get all these quietly, slowly these little signs of Alzheimer’s disease and much like heart disease. 08:17 It doesn’t. It doesn’t happen overnight. Like, yes, you’re building up over time It’s quietly going on in the background. And so the whole point is you have to, you have to do things something before these buildups occur and that’s what you do with heart disease. 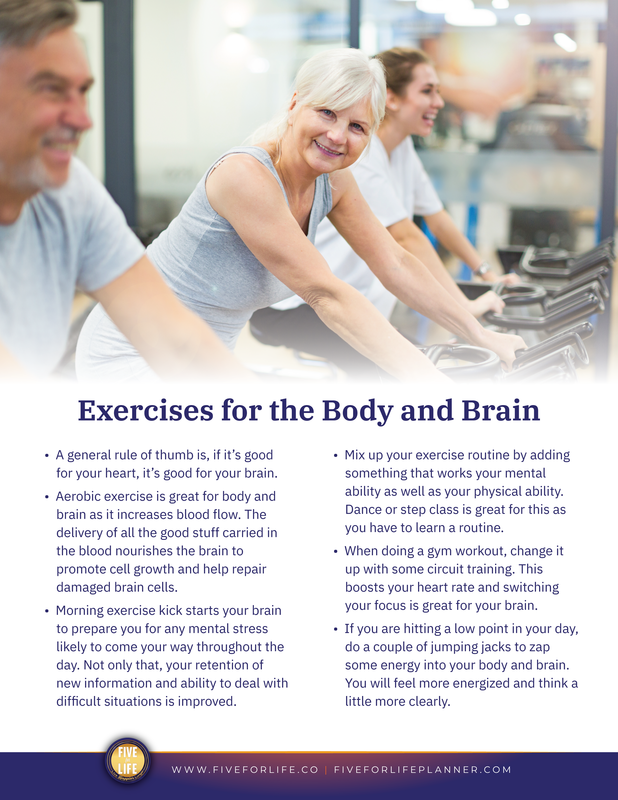 You do change your diet and you do exercise, and we’ve spoken about this before, how exercise we promote daily action number one move is all about moving and keeping mobility and all of that, but we have spoken that is also good for your brain also, not necessarily the physio We weren’t necessarily focused on the physical part of the brain, but it turns out that it actually does it physically helps. And ultimately what’s good for you heart is good for your brain. So when you are exercising, your heart is pumping and so your, your heart muscle is getting a bit more activity, your pulse is quickening. 09:17 And that means that the blood is moving through your system much more quickly. And when the blood goes through your brain, it’s just moving things around and it helps with that clearing out, moving, moving the blood. So you’ve not get that stagnant, just things building up in your brain. And so again, that’s just a good thing. So that’s what we’re doing. This exercise is really good, but also when you’re running and you get this runner’s high and that’s an increase of the hormones that go through your brain, these hormones that go through your brain, they promote cell growth of your brain itself and that’s a great thing. That’s another thing when the blood’s going through your brain, all the good stuff that feeds your brain, you;re getting more of. If you have more blood going through, then you’re getting more of this good nourishing stuff So therefore your brain cells are being more nourished. .
11:07 I’m like Yes, Awesome , let me sleep some more. 11:12 It’s kinda like everything that we are trying to promote here. It’s all very simple things they can be hard to do at times because you just have to do them. But sleep is just so it’s like a no brainer and who doesn’t want to sleep some more. 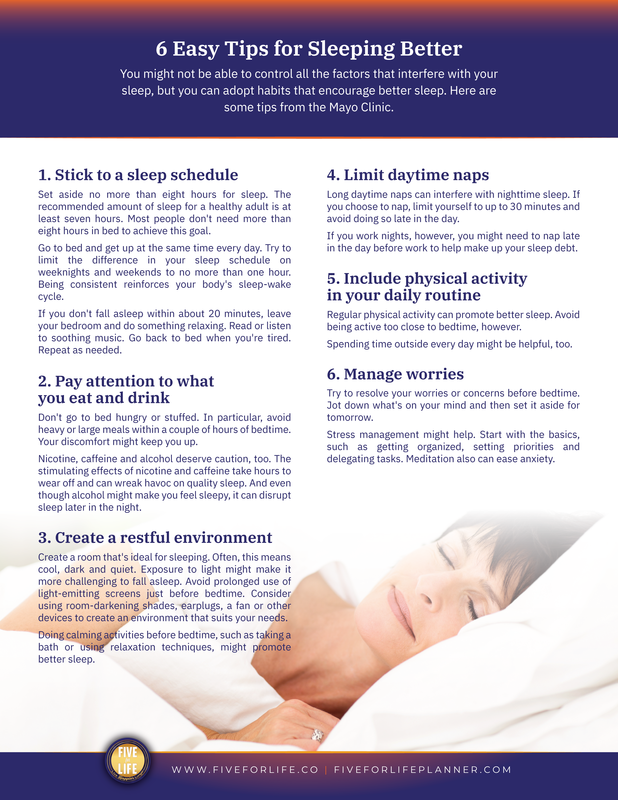 Right, right in our show notes here we have some tips on ways to get some better exercise and also six easy tips for sleeping better from the Mayo clinic because just like you said sometimes unfortunately, I know cause I get stuck in a situation where I can’t sleep and it’s really, really frustrating. Let’s talk about though the science behind it because that part was. And again, Lisa Genova, Very lenightening. Yes. Lisa Genova spoke about this and her TED talk. We, we will put the link in our show notes as well for you to go and listen to that talk because I highly recommend it. 13:11 We’re talking about the science. Yeah. That’s actually been shown to improve your brain’s health and stave off the onset of dementia or you know, the onset of Alzheimer’s as it would happen. Because the bottom line is she talks about this too in her talk that by the time we reach the age of 85, if you and I were sitting here with one other person, that there’d be three of us, then one of us would have Alzheimer’s and one of us would be a caregiver. So I mean that’s two-thirds. So you’ve been affected. If it’s not you, it’s more than likely going to be somebody you know that you’re taking care of. Yeah. Which again is not very–That’s not a great outlook. You don’t really want that to be you. Well, if you can do something about it, you would surely like to, right? Yeah for sure. 13:59 So, so what is encouraging about this is that it’s not, like I said, it’s not just a feel good story. This has actually been shown to increase the likelihood that you won’t develop full onset Alzheimer’s. Yeah. So after the science of it. 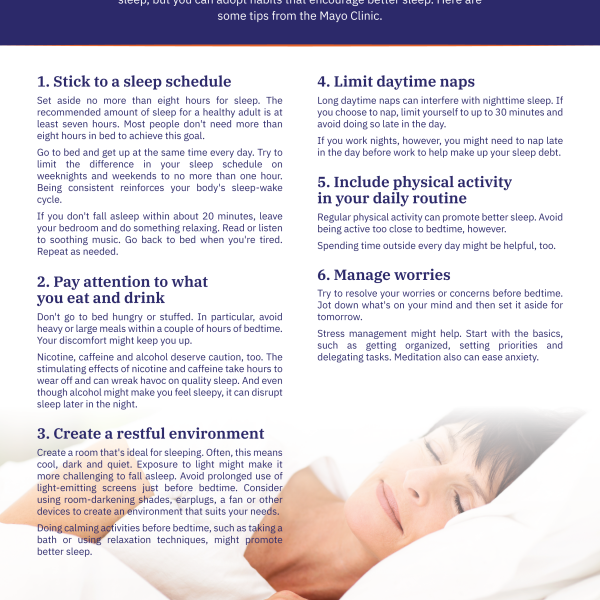 So we’ve talked about exercise and we’ve talked about getting sleep and like I said, we’ve got these great things and the six steps come from the Mayo Clinic, so they’re really good too. We won’t go into all the ways that, you know, getting better sleep or doing the exercise here within the show, but just know that in those notes you’ve got some resources. The Alzheimer’s Association talks about six pillars of Alzheimer’s prevention and they do talk about exercise and they do talk about quality sleep, they talk about these things kind of in the, not specific, right, the science of it, but they also talk about, and this is where her differentiator was. 14:57 So those two things, exercise and sleep are, are directly linked to scientific to prevention. These other things, social engagement, mental stimulation, healthy diet and stress management. Those are all ways that you can’t prevent the build up of plaque with those strategies, but you can actually, it actually can develop and build, basically rewire your brain, develop more synapses to kind of create detours around the plaque. So if you start now and you have, you have no build up of these plaques, then by having a good sleep and exercise, you will prevent those plaques building up. However, if they’re already there, all is not lost. You can do other things. I’m pretty sure I have some there already, so, but all is not lost. You can in fact do these other things that will not prevent Alzheimer’s itself, but it will prevent the onset of the symptoms and ultimately it’s not the Alzheimer’s that you fear, its the symptoms, right? 16:09 Like most things, it’s not it’s not the disease itself, it’s what it does to you, you know, so it doesn’t really matter what the disease is, it’s, it’s what it does to you and how it makes you feel. If you do other things to prevent the symptoms, then that’s a good thing. Yeah, absolutely. And what again was spoken about in the TED talk was there was a study of 600 plus nuns that they actually followed for quite a long time. Over two decades. And they found that when they died and they all, when they died, they all donated their brains to science, which is amazing. And they found several of them with, with clear disease, clear Alzheimer’s disease in their brains. Yet none of them had exhibited. They didn’t show it, didn’t show the symptoms, and that’s when they came to decide or hypothesize that the reason that was is because these nuns were very, very mentally active. 17:10 They were very involved with still learning things and with reading, a very high level of literacy and they actually have proven that in, you know, they’ve actually shown that people with a higher level of literacy with and with education, higher level of education are less susceptible to Alzheimer’s, but you don’t have to be a phd. No you don’t. Yeah, But you can do all of these things and that’s whether it’s the social engagement, whether it’s learning new things, whether it’s stress management, because that’s again, it’s a hormone reaction in the brain. These things are going to help you to build new synapses because we basically are able to do that all the time throughout our lives. Yeah, it’s a constant thing that we do and so by doing all these mental activities, you’re essentially, it would be like driving down the highway and there’s a blockage. 18:08 So you take a detour and you go a different way, essentially you get to where you need to go, you’re just taking a different route. So that’s what your brain is doing by building up these different connections, you’re able to bypass the blockage and you don’t have the symptoms, right? Or you’re not. Yeah. You’re just not as impacted by it period. And so you may not even realize that you know that it’s going on, right? Yeah. Which would be just absolutely fine, I think with most people. Right? Yeah. Yeah. So the beauty of this conversation is that we are in a position now to take action. Yeah. Wouldn’t it be great if in 20 years we were able to say either Alzheimer’s was cured or that the rate of Alzheimer’s has gone down? Yeah. Because it really is possible. I mean, she talked about in her talk, the Aids epidemic that came in the 1980’s. 19:07 We’d never seen it before. It was horrific. Right. People didn’t know what to do and now we have people now it’s a treatable disease, you know, it came out and, and just because this is happening to old people, does it, you know, the majority of people are old people, it doesn’t mean it’s something to be ignored. Just because it’s an end of. I think that’s. I think that’s part of the problem. It’s an end of life. People accept it. Yeah. Like, oh, it’s okay. They’ve already lived a long life. It’s okay if they don’t remember anything at the end, which is just not cool and I mean it’s crazy. And the conversation, if we start it now and we really focus on it and we start to take action, take action, we can end Alzheimer’s and we can have those. We can have a survivor of Alzheimer’s that we can talk about this and there will be a time I think in the, in that future, that they will find a cure for it as well. 19:57 That can reverse the disease state wants it started in the brain, but regardless, this is pretty exciting stuff to have a just like you said, pretty simple, right? This isn’t, I mean it’s not always easy, but it is simple and of course, you know, we’ve talked about it before. Daily action number one is move. It’s for a reason. This just takes it to another level level, right? Yeah. Because there are so many positive things that come from moving around, moving around and this, this does take it up beyond just the getting out, you know, this is more than just loss of mobility, lost mobility is really just keeping moving and that’s like taking a walk, right? This is cardiovascular and this is taking it to the next step and you really need to think about that in terms of your health overall, but it’s, it’s definitely a way to nourish and cleanse your brain. 20:52 It’s just a great way of getting your heart pumping , getting your blood pumping and a great way to think about it. Yeah. I think that probably is as much as we have to say on this TED talk, but I would encourage everyone to go and listen to Lisa Genova if you haven’t read the book or seen the movie Still Alice, that’s another. Yeah, just a little nudge, it’s amazing too, but get out there and start moving some more, taking better action, get a good night’s sleep, and if and if you’re out doing some sort of exercise, you’ll actually tire yourself out, which means that your likelihood of getting a good sleep also improves. Yeah, absolutely. Which, yeah, I mean, and we didn’t even, I guess I should’ve, we should’ve mentioned this because there is kind of a badge of honor about people these days about how, oh, I only slept this many hours, or I pulled an all-niter. 21:45 That was one of the things in another TED talk. I listened to it. I listen to a lot these days. She’s learning. Yeah. I am continuously learning and it’s so. It’s so easy to learn when you listen to these very educated people speak on TED talks, but it was a psychologist who spoke about Maslow’s hierarchy of needs. And right at the very bottom you have your physiological needs, which is food, breathing, shelter, all of those things. And one of them is sleep. And he had said that really in recent years, people have not put as much importance on sleep and if you think about it, since 2000, the lifestyle that people have been living has been working longer, not taking vacations and all of this. Well, and let’s talk about the devices, right? Yeah. You know, devices in bed. So you’re, you’re not, you’re not going to bed and going to sleep. 23:52 and we wish you well and we’re out. Yeah, we’ll see you next week. Thanks for listening to the live happier, longer podcast. Now it’s time to move, learn, share, give, and let go. Five daily actions to make the rest of your life the best of your life. See you next week. Listen to Lisa Genova’s TED talk!